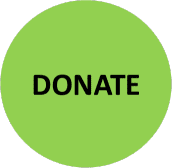 Meals On Wheels of Tampa is a non-profit that relies on the community to help support its mission and is 100% community funded; we do not accept any direct government monies or grants. Any kind of monetary support is helpful to nourishing and enriching the independent lives of the homebound and seniors. Community dollars have gone to build our kitchen (one of the few Meals On Wheels to have their own kitchen), the trucks, the meal bags, and heating elements just to name a few. Your dollars allow us to expand our service, to reach more people in the Tampa community and touch the lives of the homebound and seniors. In fact, 81 cents of every dollar donated goes directly to the cost of food. There are several ways to contribute to the ongoing work of Meals On Wheels of Tampa and each one makes a huge difference in the lives of those we serve. MEALS ON WHEELS OF TAMPA, INC. IS A 501(C)(3) TAX EXEMPT ORGANIZATION. A COPY OF THE OFFICIAL REGISTRATION (CH358) AND FINANCIAL INFORMATION MAY BE OBTAINED FROM THE DIVISION OF CONSUMER SERVICES BY CALLING TOLL-FREE (800-435-7352) WITHIN THE STATE. REGISTRATION DOES NOT IMPLY ENDORSEMENT, APPROVAL OR RECOMMENDATION BY THE STATE.